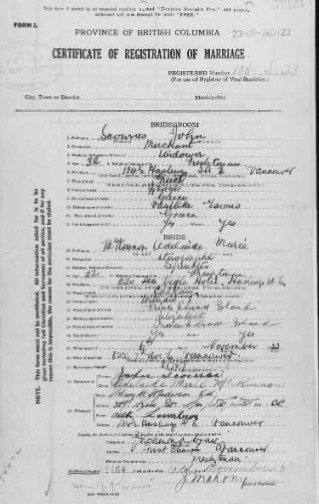 FamilySearch.org has a FREE database titled BRITISH COLUMBIA MARRIAGE REGISTRATIONS, 1859-1932. There are 319 people listed with Greece as their place of birth. You will be able to view and print the actual registration form.